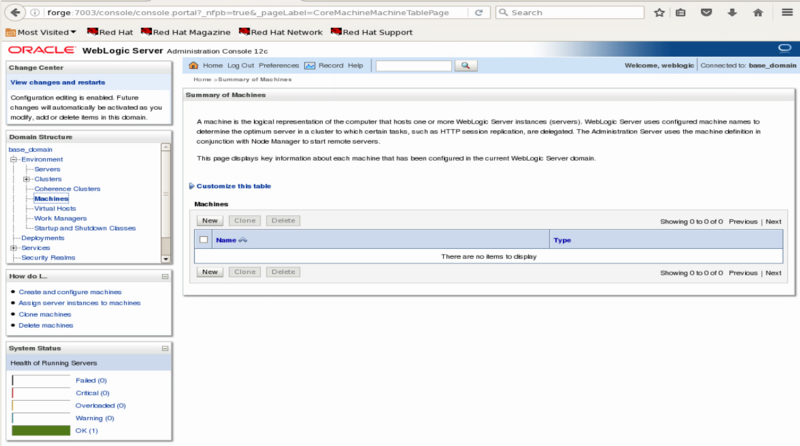 The Oracle WebLogic Node Manager can be used to start and stop WebLogic managed servers on a host. In general, the WebLogic Admin Server is used for administrative duties and the managed servers are used to deploy applications on WebLogic. 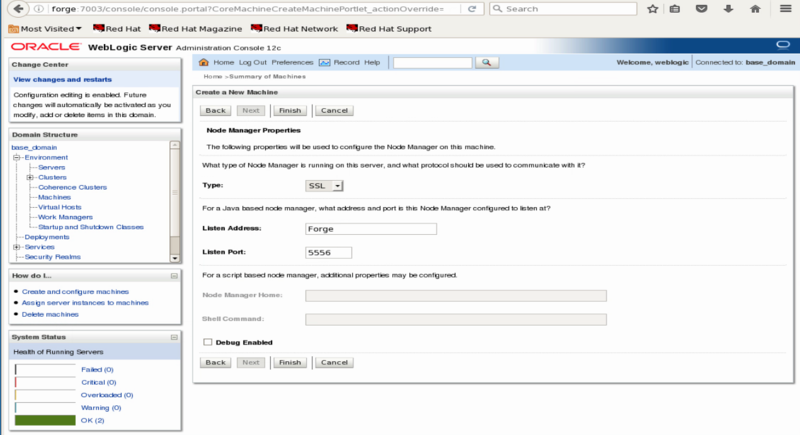 This article details how to configure WebLogic Node Manager. In the following, $WL_HOME is the WebLogic home directory and $MW_HOME is the Oracle Fusion Middleware home established during WebLogic installation. The connection was successful. We will address the “insecure protocol” warning in an upcoming post. Use the following command to enroll the host machine with the WebLogic domain to be used. This allows Node Manager to accept requests from the domain. Successfully enrolled this machine with the domain directory at /u01/app/weblogic/wls12130/user_projects/domains/base_domain. 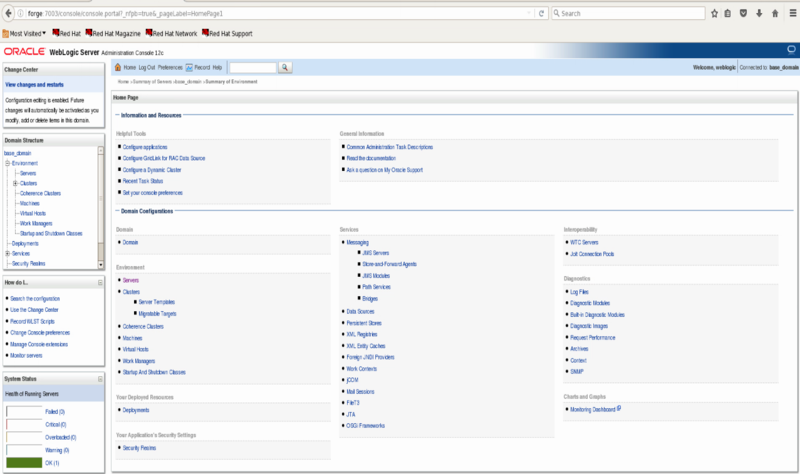 Login to the WebLogic Server. 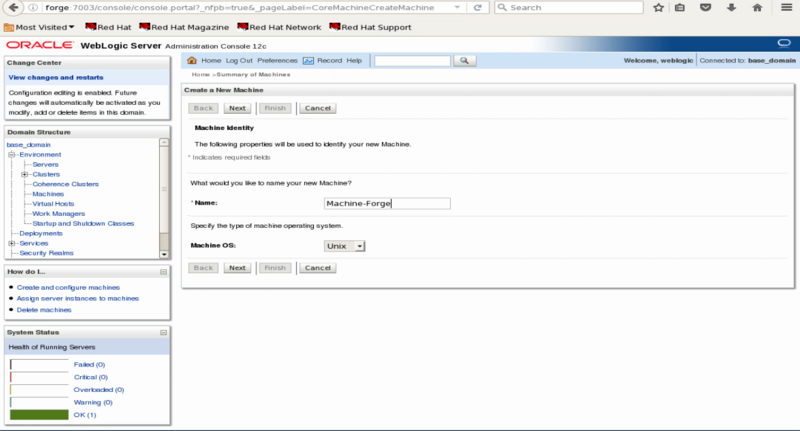 A WebLogic machine is a representation for a host on which WebLogic will run. 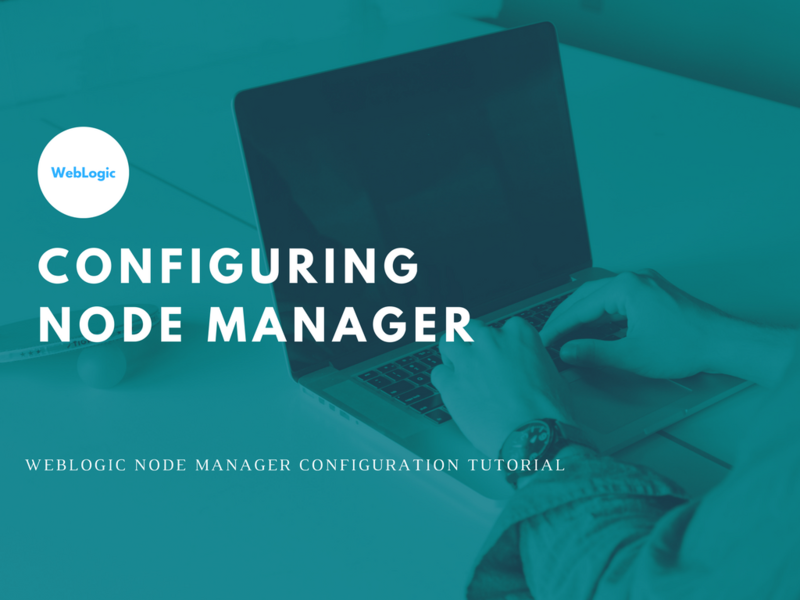 We will configure a WebLogic machine to use Node Manager. The Create a New Machine screen displays. Give the machine a name. Select an operating system for the machine if desired. For example, “Unix”. The Create a New Machine screen with more details displays. Enter a type, listen address, and listen port for the machine. Enter the name of the server in the Listen Address field. The Summary of Machines screen displays showing the newly created machine. At this point, Node Manager is running and is associated with a machine. 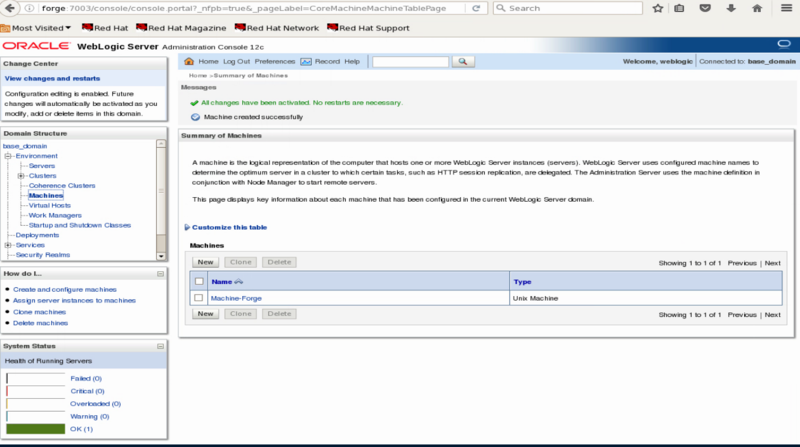 We can use this configuration to start a WebLogic managed server to deploy applications.